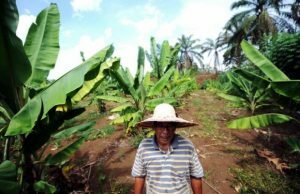 Cultivating banana trees, oil palms, cassava roots and lemongrass may not seem like a big deal, seeing as all these tropical crops are commonly grown across Malaysia. Except that Surin Deris, a farmer in Kuantan, is doing so in soil that was extensively damaged last year by bauxite mining, which laid waste to the area’s environment in Pahang. Numerous local villagers leased their plots of land to fly-by-night bauxite miners around Kuantan last year in the hopes of quick windfalls, only to end up with the soil on their property severely damaged from toxic runoff, which contaminated soil and water sources far and wide around the area. Surin, a 68-year-old settler in Bukit Goh, was among them. Last May the elderly farmer leased out 3 acres of his 5.5-acre plot to bauxite miners. Taking advantage of a six-month moratorium on bauxite mining, which came into effect on January 15 and is scheduled to last July 15, Surin began planting a variety of crops a few months ago. By successfully growing the plants in contaminated soil, Surin believes he has proven wrong naysayers who insisted that it might take long years before any vegetation can grow there. “Many have said that former bauxite-mined land is infertile. But I feel that if forest trees can grow (on their own), then trees that are deliberately planted and cared for can grow even more,” he said. Surin has, for one, tried and now he does know that planting at least some crops in some damaged soil is possible. 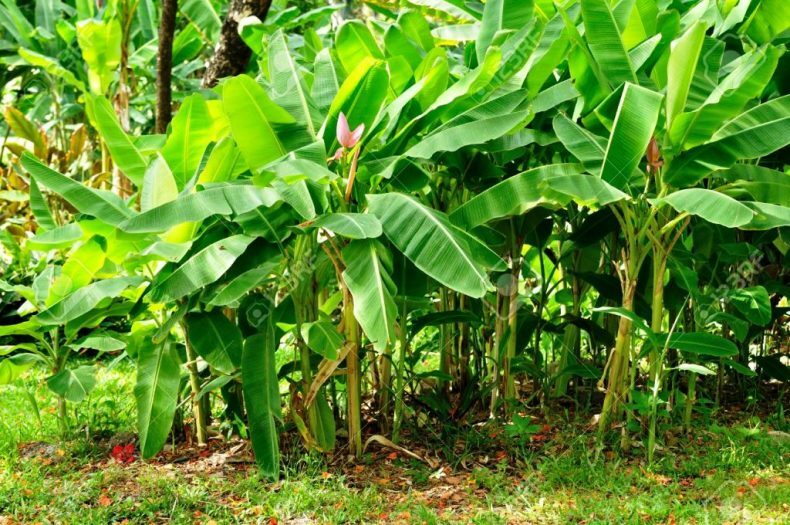 Questions still remain as to whether the bananas and cassavas on his plot are suitable for consumption or if they have been contaminated by toxic chemicals. The farmer says he is awaiting the results of a promised analysis of his produce by experts.